Follow the siren call of the soft emerald water to the silky sand beaches of Sardinia. This charming island in the Mediterranean is defined by its sun-soaked ancient cities, wondrous prehistoric sites, and its breathtaking coastal panoramas of lush mountains and secluded coves. Sardinia is a picturesque getaway of thrilling outdoor adventures and remarkable attractions. Soak up the sunshine on a gorgeous beach, or dive beneath the waves as your scuba around the submerged ruins of Nora. Roam through the stone remains of ancient civilizations and towers of nuraghi, and examine the artifacts in the National Archeological Museum or wander the narrow alleyways of quaint, pastel-colored fishing towns. In the crescent-shaped bays, there are opportunities for exploring fascinating caves like the Grotta di Nettuno, kitesurfing in the glimmering spray, or sailing around limestone cliffs. In Sardinia, life moves to the rhythms of the azure waves, and the best way to explore the island is to be out on the water. These eight Airbnb houseboats and yachts are the perfect choice of accommodation for your island holiday. Read more about them below! From this lovely modern houseboat, enjoy beautiful views of the breathtaking beaches of Cagliari. 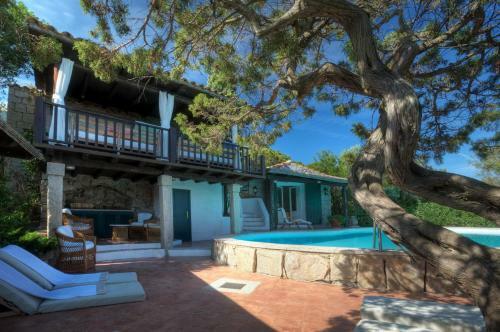 Located in the Marina Piccola, the bright and airy accommodation can host up to four people and portends a cozy stay. The houseboat is filled with modern amenities, including a Bose sound system, WIFI connection, and air conditioning. A small, wooden terrace is the perfect place to sit back in the evenings and watch the light play over Cagliari. This luxurious boat is an oasis of peacefulness and privacy. Known as the “Sereli,” this Turkish luxury boat is moored in Capitana Harbor in the quaint town of Quartu Sant'Elena. Spacious and elegant, there are four double cabins which are smartly furnished and each have their own private bathroom and shower. Up to eight guests can stay on the boat, which also has a compact kitchen and plenty of dining and lounging space. Back on land, there is a restaurant, diving center nearby, and there is a supermarket within walking distance. This striking and bright houseboat is the perfect choice for small groups and families. Relax in the beautiful setting of the Marina di Sant'Elmo, and enjoy the sight of the yachts bobbing around Cagliari. The property is equipped with convenient amenities to ensure your comfortable stay, including WiFi. Admire spectacular views from the deck, then head to check out local sites like the church of Bonaria and the Historic Center of Cagliari. Wake up to the sound of gentle waves lapping against the sides of this stunning vintage yacht. This luxurious rental is situated in the scenic port of Castelsardo where you can spend your days sailing in the emerald water or sightseeing on land at the town’s historic castle. The four cabins are spacious and stylish, and can accommodate up to nine guests. Cozy lounge spaces inside the cabin and a shady seating area on the deck create a tranquil atmosphere aboard the boat. Located in the scenic Aquatica Marina, this cheerful houseboat overlooks the ancient ramparts of Alghero. With two cozy beds available, four guests can get a restful night of sleep before they explore the nearby historic center of the city. The houseboat is bright, simple, and modern, and has a wonderful terrace where you can enjoy your meals alfresco. This bright and modern yacht provides an excellent way to get acquainted with the stunning Cala Luna and Cala Gonone. Two guests can rent this cozy private room aboard the Blue III and enjoy the king-sized bed and private, sophisticated bathroom. Guests also share access to the relaxing lounge, modern kitchen, and picturesque upper deck. Enjoy the beautiful seaside of Sardinia from this gorgeous sailboat. Four guests can luxuriate in the peaceful atmosphere aboard this spacious and elegant rental, and enjoy the splendid historic port of Alghero. There are three beds inside the boat, as well as a bathroom and a modern kitchen. The boat has also been equipped with comfortable amenities including a television and WiFi. A tranquil escape in the harbor of Cagliari, the “Jolly Roger” is a sailing yacht filled with comfort. This cheerful boat has three beds, a modern bathroom, a small kitchen, and cozy lounge areas. Breakfast is also included in the price! The town’s historic center is nearby and many restaurants and shops are within walking distance. This wonderful island offers a wonderful glimpse of Italian culture and promises picturesque panoramas around every corner. Meander through Sardinia’s colorful streets, check out prehistoric architecture in the charming cities, and spend your days playing in beautiful emerald waves. These vacation yachts and houseboats offer you exquisite accommodation to make your stay in Sardinia memorable and comfortable.